Business promoters are into Land Development since last six years and has undertaken and completed the following Projects successfully. Development of a Residential colony in the name of Gulmohar Greens (area-2.5 Acre) situated near Amity New Campus Mallhore Lucknow .Development started in the year 2005 and was successfully completed in the year 2006 . houses were constructed in this Residential colony. Address: Moazzam Nagar opposite Ansal API near Indira Canal at Sultanpur Road, Lucknow., Sultanpur Road, Lucknow, Uttar Pradesh, India. 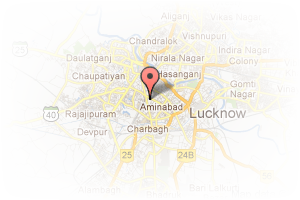 This Builder Profile page for "Wing Constructions & Developers" has been created by PropertyWala.com. 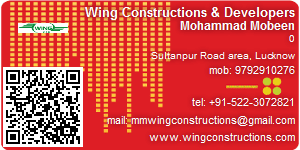 "Wing Constructions & Developers" is not endorsed by or affiliated with PropertyWala.com. For questions regarding Builder Profiles on PropertyWala.com please contact us.